Should you bother with online appraisals? 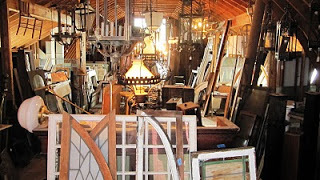 If you have exhausted your patience with do-it-youself appraisals (by looking for similar items that have sold on eBay, craigslist, liveauctioneers.com, worthpoint.com, and other free sites), and you aren’t willing to hire a human being to come to your home and examine your object, it may be time to pay for an on-line appraisal. These are cheap and, because the appraisers cannot examine the object except through a photograph and your (possibly inaccurate) description, not as reliable as the real thing, but they can help if you are just trying to get a general idea of an item’s value. There are many on-line appraisal services you can use. 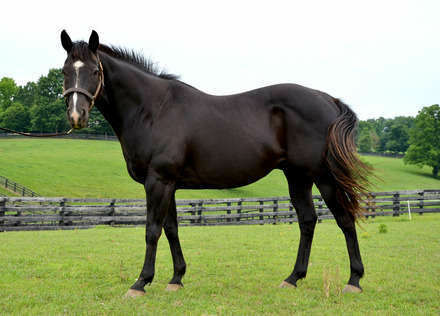 Reputable ones include Kovels, at http://www.kovels.com, where you can have a free subscription and get some information and access to price guides, or pay $3.25 a month or $5.00 a month for access to more information. Another site is http://www.valuemystuff.com. 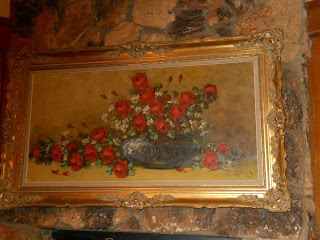 You send them a picture and $10 and they have an appraiser give you a value. 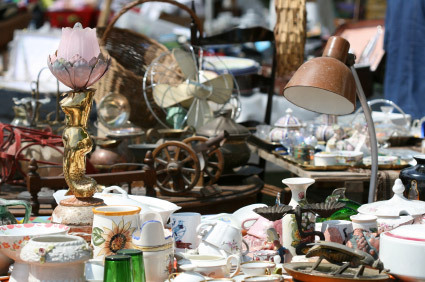 Costs are lower if you have 3 or 10 or more items you want appraised. Another site is http://www.worthpoint.com. Here you can have a free membership for 7 days, so what’s to lose? Or pay $30 for one item’s appraisal or sign on for $20/month for unlimited access to their databases. While we’re on the subject of washing old textiles, here’s some information about how to was that old quilt you have inherited. Textile curators and dealers in antique quilts invariably say, “Don’t wash it!” A dry cleaner will probably refuse, and that’s a good thing because the fluids used would likely do serious damage. 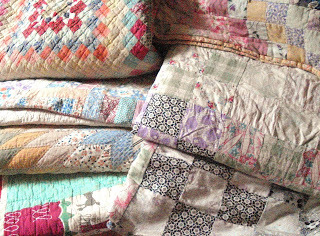 Not washing quilts may be excellent advice for museums and people who own rare and valuable specimens, but in the everyday world, quilts can come out of attics, garages, basements, car trunks, and sick beds. They can bear mysterious stains, foul odors, and suspicious animal hairs. They need more than a good shake before they can be brought home and spread over the guest room bed. Here’s what you can do with dirty quilts that are not “museum quality.” Be forewarned that wet washing may cause the colors to fade or bleed. 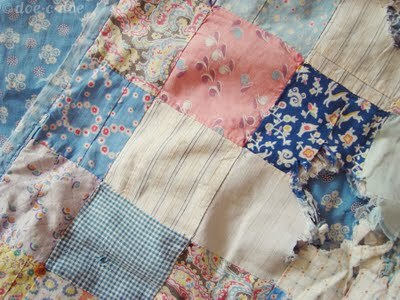 But frankly, I’d take a clean, slightly faded quilt over a soiled one any day. First check both sides of the quilt for tears or holes; repair those with a needle and cotton thread. Remove any rings and watches you may be wearing which could snag the fabric. Place the quilt in a top-loading washing machine and set the dial to large load and warm water. Add a small amount of mild detergent like Ivory Soap Flakes, Ivory Snow liquid, or Dreft, perhaps half of what you would normally use for a load that size. Do not add bleach! Fill the washing machine with water and stop it before it begins to agitate. With your hands, gently squish the quilt up and down in the water for several minutes. Let it soak for a few minutes and squish again. Turn the dial to the spin cycle and spin. Let the machine fill up with clean water for the rinse cycle. Again, do not allow the machine to agitate. Stop the machine and squish the quilt around in the clean water by hand. If the quilt was extremely dirty, you may wish to repeat the wash and rinse cycle, letting the quilt soak a while before rinsing. Run the rinse cycle a final time. Spread a clean sheet that is larger than the quilt on the ground outside in a shady spot away from direct sun. Handle the wet quilt carefully because the weight of the water makes the fabric very fragile . . . two people are better than one. Lay it on the sheet, pattern side down, and spread it gently to dry. Don’t even think about hanging it on a clothesline, draping it over a fence, or putting it in the dryer! Check every hour or so. Bring inside when thoroughly dry. Spread it over a bed for a day or two before folding to make certain it is completely dry. Do not fold on existing crease lines. I read this column in the newspaper by Danielle Arnet, who styles herself the Smart Collector, and thought I’d share it. Why? Because she gives the same suggestion I always give about fine art, so of course I think she’s right!! I suggest on start to research with a google search for the artist [name]. Sometimes works for sale pop up. Next, to get an inkling of sale activity and prices, run a free search on eBay and liveauctioneers.com. Since determining potential value calls for accessing a sales record, then pay for short-term use of worthpoint.com and artnet.com. That’s how smart collectors access past sales and auction results. Excellent advice for those who have inherited original works of art–paintings, sculpture, signed prints, and such. Are Any Old Handbags Valuable? 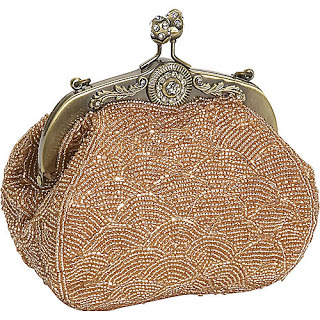 Just about every estate will have some used handbags and evening bags. If you find designer handbags of recent vintage, great! You can sell them online and actually get a good price for them on eBay, Craigslist, or other sites. Nantucket basket purses and evening bags, old or new, usually hold their value. Old ones can be sold to vintage clothing stores. 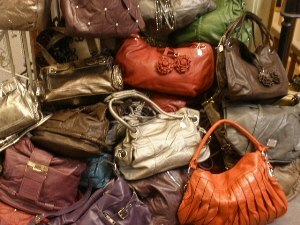 Apart from those, used handbags have virtually no value. Your best bet is to donate to Goodwill or the equivalent.